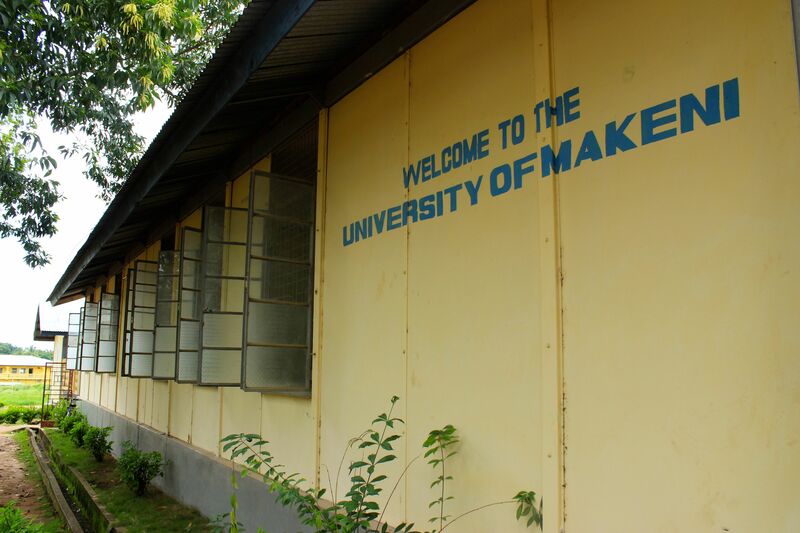 Researcher Meredith Newlin has just returned from a two-week visit to Sierra Leone where she was evaluating the feasibility of adapting the Connecting People Intervention model to address the mental health treatment gap in low and middle-income countries we first spoke about here. Funded by the Wellcome Trust and the University of York via the Centre for Chronic Diseases and Disorders (C2D2), this visit allowed Meredith and colleague Dr Susie Whitwell from King’s Centre for Global Health, to visit Sierra Leone in July 2013 to explore how social interventions can help to meet the needs of people with mental health problems. 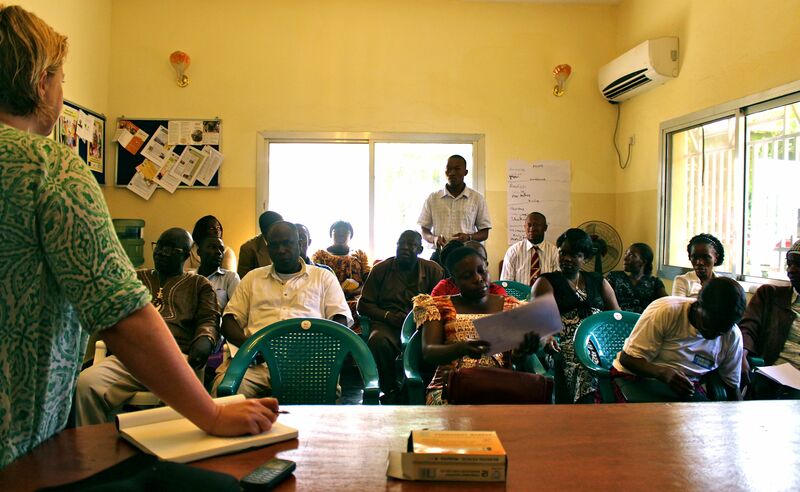 During their visit, Meredith and Susie conducted interviews, focus groups and observations in a variety of mental health service settings and with a number of key stakeholders in the three largest cities, Freetown, Makeni, and Bo. 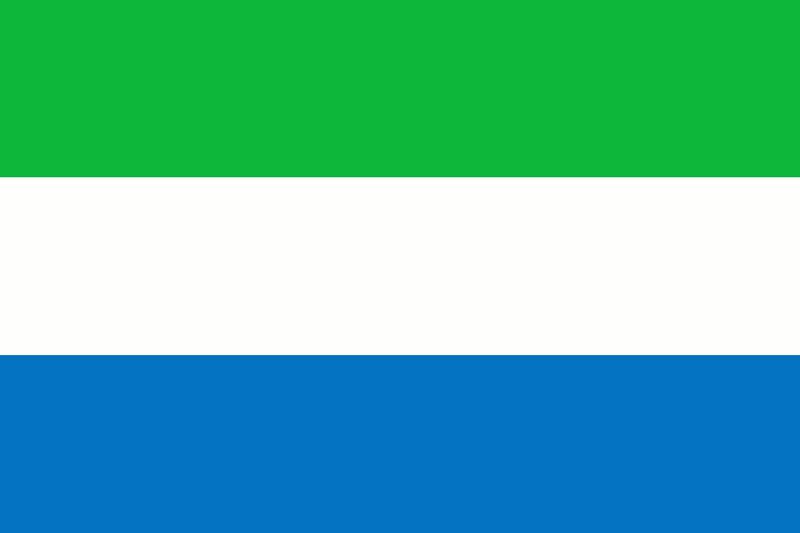 Like many post-conflict societies, Sierra Leone lacks capacity in its health and social care workforce. Where an estimated 13 per cent of the adult population suffers from a mental disorder and there exists only one trained psychiatrist for a population over 4 million, the lack of mental health training and supervision represents a significant barrier to addressing mental health needs. 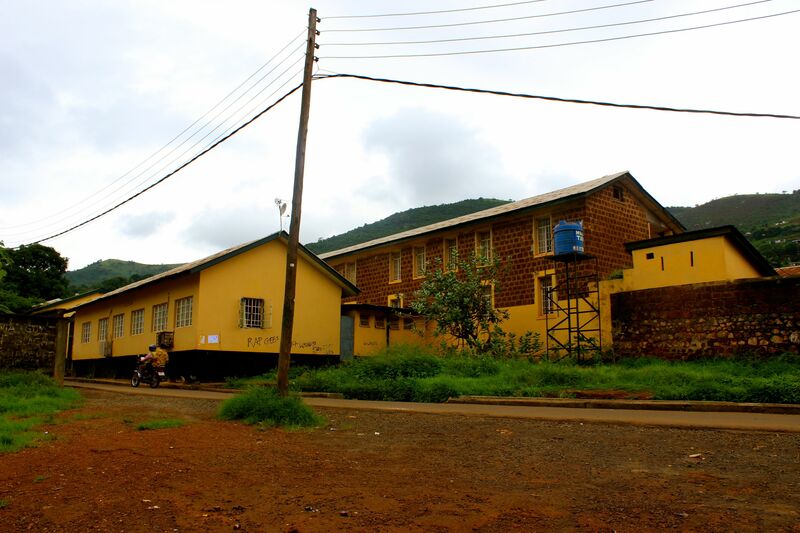 Although training has begun for 21 psychiatric nurses, focus has been placed on the medical model, which is problematic in a country with poor access to medications. Upon graduating this autumn, the nurses will be based in district hospitals across the country with referral pathways reaching into the rural communities. Training in psychosocial approaches is greatly needed both at district and community levels in order to strengthen the care available to adults with mental health problems. Meredith and Susie joined the psychiatric nurses for three days of training where they discussed principles of social capital and strategies they currently use to build relationships with patients, and spent time reviewing difficult cases. This gave us an opportunity to analyse the difference between actual symptoms of mental disorders and stereotypes associated with unusual behaviour in a context where people with mental health problems are highly stigmatised and vulnerable. Time spent with the nurses also enabled us to better understand the manifestations of illness from a sociocultural perspective. For example, the nurses explained they see young women suffering more from “frustration” (Krio for depression) due to the immense pressure placed on them to marry and have children, which may be over-diagnosed as psychosis given the prevalence of stigma in the community. From the data collected in this feasibility study, the research team will continue to collaborate with stakeholders in Sierra Leone to enhance the psychosocial skills of mental health workers through adaptation of the intervention model and development of a training programme. Throughout the recruitment phases of the study we’ve had a great deal of interest amongst the participating agencies of how recruitment is going across the diverse agencies and target populations. We have heard from practitioners how recent changes in policy are reflected by additional pressures in their work and we acknowledge that such pressures impact the recruitment and implementation of the CPI model. In spite of these pressures, 16 agencies across the study are doing fantastically well to recruit participants! Data on the first 84 baseline interviews indicates we have recruited 60 adults with mental health problems, five older adults (over 65yrs) with functional mental health problems, and 19 adults with a learning disability. We thought it would be interesting (and fun!) to break these figures down and look at how recruitment is coming along based on the goals we set with each agency at the start of the study. Recruitment aims were based on the number of new referrals and capacity of staff when the agencies agreed to take part in the study. These aims are crucial to the success of the study, in order to find meaningful results in our diverse sample. To date, one agency has exceeded their recruitment aim by 40%. Six agencies are at least halfway toward meeting recruitment goals, four agencies have recruited 20-40%, and three agencies are at 10-15% of intended recruitment. We have just over one month to continue baseline interviews with participants who are interested in the Connecting People Intervention Study. Recognising the immense pressure that staff members are under, we are working with agencies individually to find strategies that support recruitment despite these limitations. We are curious to hear from you, how do you think practitioners might be supported to recruit participants to the CPI study in next month? Exciting event coming up next week! 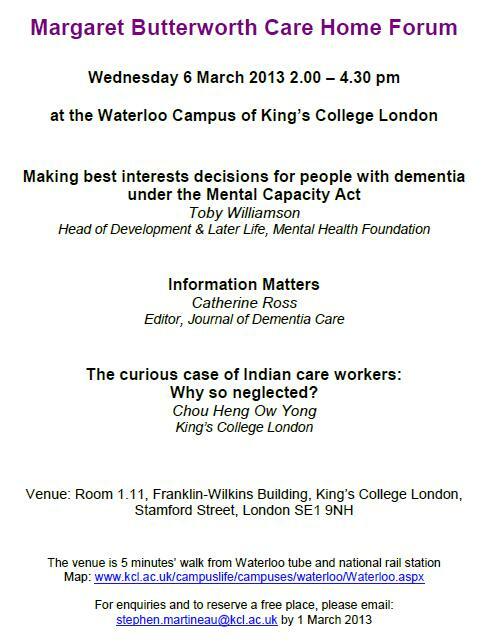 Our colleagues at King’s College London Social Care Workforce Research Unit are hosting the Margaret Butterworth Care Home Forum on Wednesday, 6th March from 2:00 – 4:30pm in London. Reporter Andy McNicoll attended last week’s Connecting People Workshop and wrote an article for Community Care, the online source ‘for everyone in social care’, describing how the Connecting People Model fits into current social work practice. Read Andy’s article here. On Friday 15th February the team hosted the first Connecting People Workshop, an interactive event at King’s College London to raise awareness and share experiences of the CP intervention. Around 50 people attended the event from a range of backgrounds and services interested in this model of practice. Many of the attendees were new to the CPI model and agency representatives from the pilot study also shared their experience, culminating in the room being filled with a breadth of perspectives and opinions, which lead to engaging discussions throughout the day. After an introduction to the policy and research that fuelled the development of the intervention model, attendees were split into groups of workers who had experience of the intervention and those new to the study. This was the first time we’ve brought workers from the different intervention pilot sites together, and so this event served as a valuable opportunity to learn how other agencies are working with the intervention. We held a group discussion from which the consensus was that the event had been useful and more networking opportunities should be organised, which we will endeavour to do. 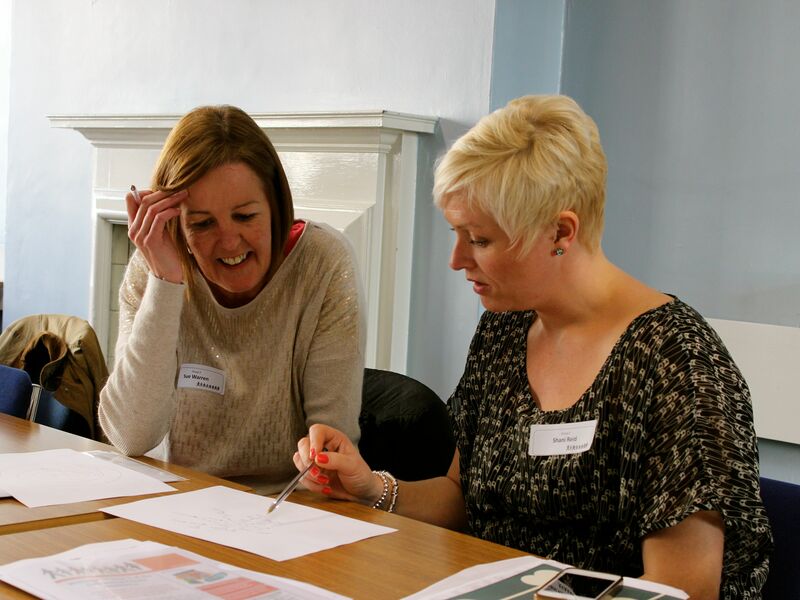 The attendees who were new to the model were given a ‘potted training on the intervention’ – short bite-size bits of training extracted from training sessions that we had run for the pilot agencies. 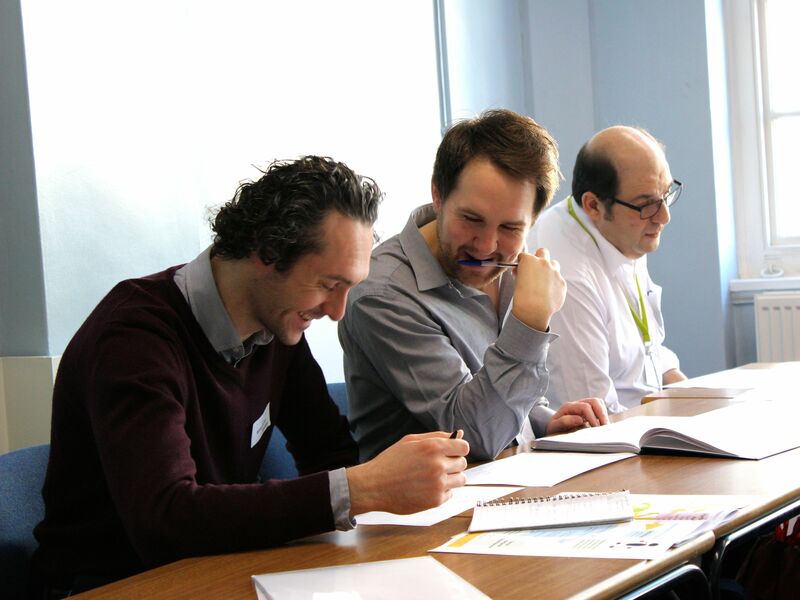 This was no mean feat – we covered two training exercises that would normally take up to half a day in only 40 minutes – however we feel that we gave a good taster of the training days, and certainly helped to bring the intervention alive and place it in the context of their practice. The final activity of the morning was a panel discussion. Panel members had first-hand experience of the intervention and came from diverse backgrounds, allowing them to adeptly answer all of the questions asked of them by the room. 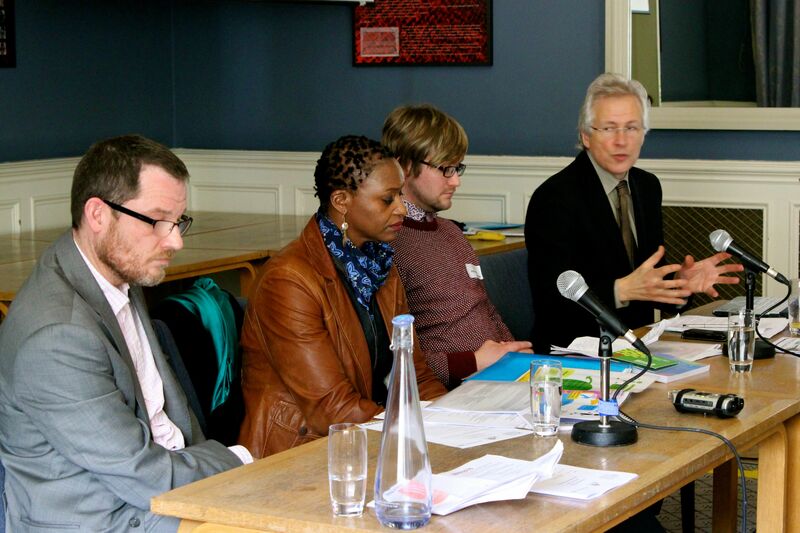 The panel were: Prof David Morris (P.I. on the Connecting People Study and chair, UCLan); Andrew Hodson (Arts and Media manager, BlueSCI); Audrey Gallier (Social worker: Derby City CMHS Early Intervention Service); and Dr Darren Craddock (Consultant Psychiatrist: Coventry & Warwickshire Partnership NHS Trust). One of the questions raised: How do you incorporate changes in practice from the CPI model into agency culture such that its principles are sustained beyond the period of the research itself? Attendees certainly made use of the networking lunch at the end of the day and many contacts were made for future correspondence. 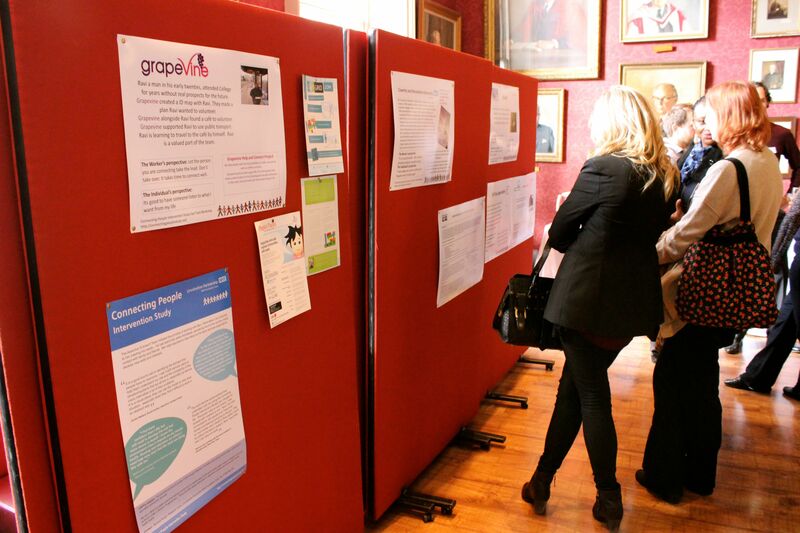 The agencies working within the pilot study had created posters for the event which were displayed during the lunch and allowed an insight into exactly how they had fitted their practice to the intervention. We were busy taking photos, but that was not the only media coverage of the event. Old Trafford Community Television filmed the morning to form the basis of some of the training materials that we will be producing to allow new agencies to start to use the intervention. In addition, Andy McNicoll from Community Care attended the event and wrote a piece for the magazine, which you can read here. 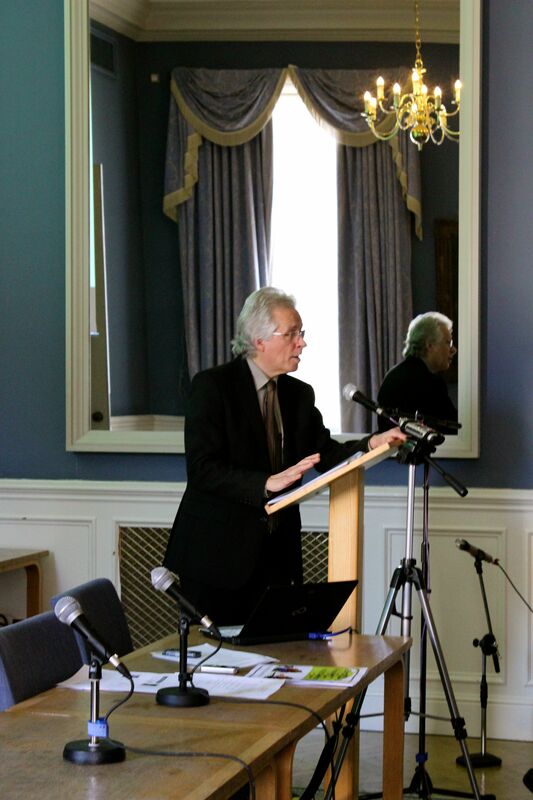 Sadly one of the Principal Investigators of the study – Dr Martin Webber – was unable to attend the event due to illness but he keeps a very active blog of his own, which you can access here and will give you more insight into his thoughts about the Connecting People Intervention. Our team thoroughly enjoyed the morning and from the feedback, it seems that the attendees felt the same! We will be evaluating the event and aim to hold something similar in the North of England later in the year. Connecting People Workshop: Reserve your place today! 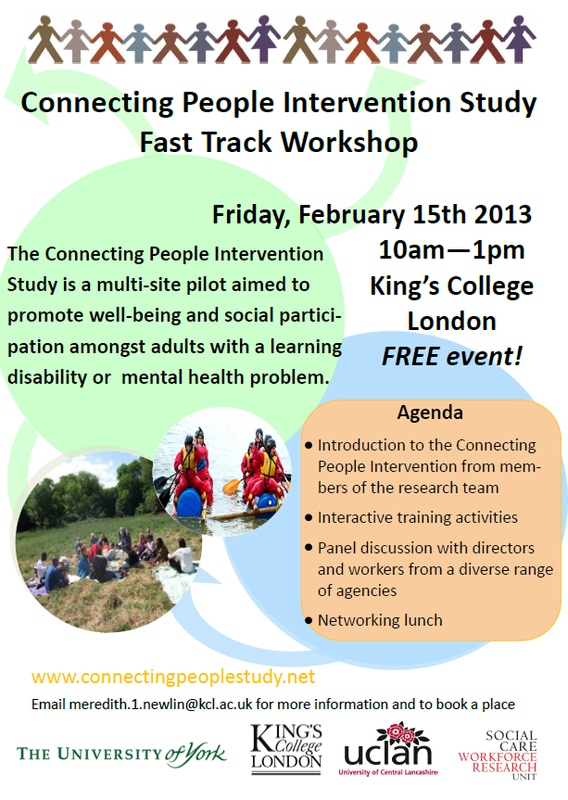 There are still a few places available for the Connecting People Workshop on Friday, 15th February at the King’s College London Strand Campus from 10am to 1pm, including a networking lunch. This workshop is free and open to anyone to find out more about how the Connecting People Intervention could provide a model for social capital interventions in mental health and social care services. To book a place at the workshop, please contact meredith.1.newlin@kcl.ac.uk. Please click here to download a PDF version of the flyer to circulate via email. Reserve your place today for upcoming Connecting People Events! 2013 is sure to be a busy year for the Connecting People Study; we will be involved in a series of events throughout the year to introduce the intervention to a wider constituency of practitioners, managers, commissioners and users of health and social care services. On Friday, 8th February Making Research Count at York have organised a half-day seminar to allow interested people to hear more about research researchers from Rosklide University in Denmark. Martin Webber will be talking about the Connecting People study and David Morris will be talking about the Connected Communities project led by the Royal Society for the Arts. 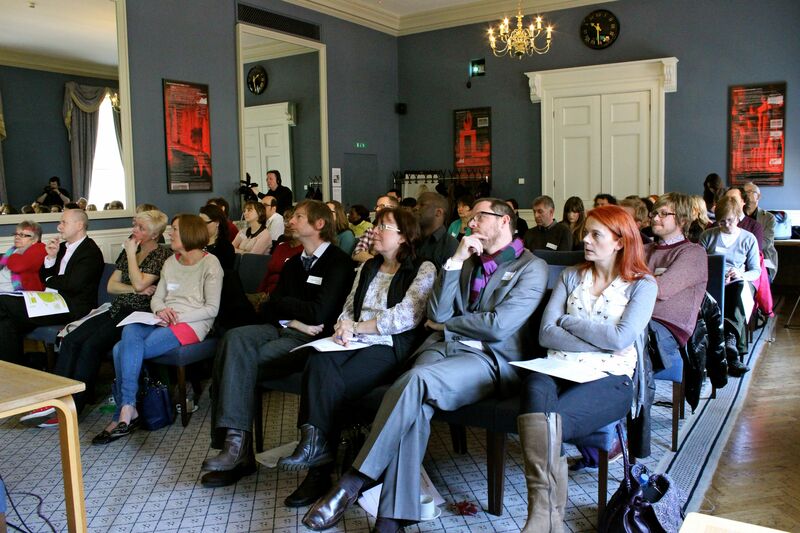 The seminar, Community in Focus: Social Work Making Connections, will be held at King’s Manor in York from 9.30 am to 2.00 pm. The event It is free to Making Research Count members, mental health social workers and Approved Mental Health Professionals in the Yorkshire and Humberside regions. Otherwise, places cost £75 each. Please click here for more information and to book your place. I am very fortunate to hold two roles with the Connecting People Intervention: one, as the full-time London based research worker on the pilot study, and two, as a part-time PhD student exploring the international scope of the intervention model. To address the wide gap in global mental health implementation research and to promote capacity building of researchers in lower-and middle-income countries, I am working on expansion of the Connecting People Intervention to under-developed contexts that currently lack critical resources and skills. Juggling two roles is not unfamiliar to me, for several years I have pursued my career in psychology research whilst also serving as a director for the small African development charity, SpanAfrica. But until very recently these two passions for me—the drive to inform evidence-based research and to support meaningful change in underdeveloped countries—have not converged. This is precisely the reason I jumped at the opportunity to explore the feasibility of taking the UK-based Connecting People Intervention to low- and middle-income countries (LAMICs). I believe the Connecting People Intervention model has great potential to enhance health and wellbeing of vulnerable populations in LAMICs, especially with its focus on social participation. I see the intervention as an opportunity to enhance social relationships between individuals whilst also developing the local community through existing services. But most importantly the intervention model we have developed in the UK cannot simply be imposed on communities across the globe, instead my PhD will explore the ways that the CPI can be adapted to fit the local context. With a background in health psychology and experience working in severely disadvantaged areas of Africa, I am often challenged by the varying approaches to addressing health inequalities through sustainable development. We see blanket approaches where non-governmental organisations and international institutions will address seemingly similar issues exactly the same across vastly different countries or regions. A story comes to mind of an NGO who visited a small rural town and asked male leaders what they needed most for their community. They responded, “a water well” because the women had to walk miles each day to access clean water. The well was constructed but shortly after installation many people in the community fell ill and they determined it was the new well. What the male leaders didn’t understand was how important that daily walk was for the women. It was their time for socialising, peace, and exercise. One woman missed that time so much that she began contaminating the well water just to have that time back. This is a story that reminds us the importance of truly addressing the needs of the entire community. Whilst the NGO had good intentions, and even worked with the local leaders, it wasn’t sustainable to the entire community. Of course clean water is vital but perhaps the NGO could have consulted the entire community and in addition to providing clean water also considered opportunities for social participation. Integral to conducting research in LAMICs is the need to establish strong relationships with key stakeholders to capture a realistic description of the challenges faced by vulnerable adults in the community. 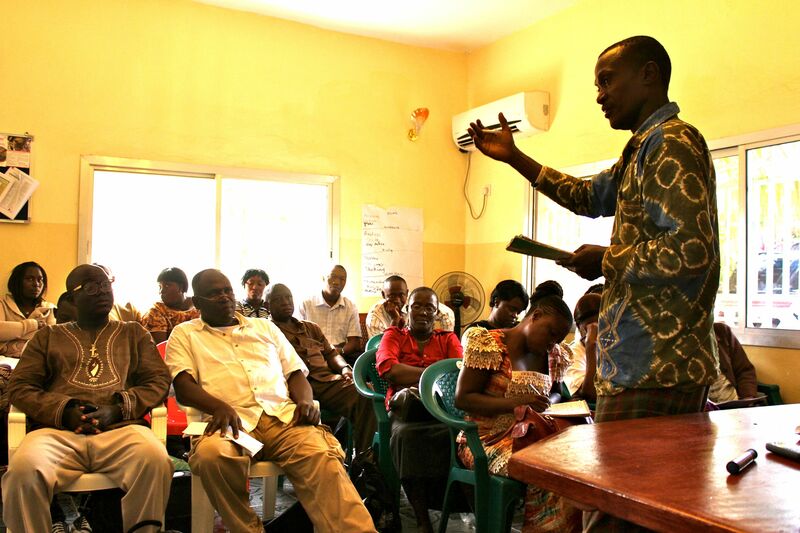 Recently I have been collaborating with individuals from the King’s Centre for Global Health to explore the possibility of piloting the Connecting People Intervention in Sierra Leone. The connections we are making now will enable us to reach individuals across health and social care systems in Sierra Leone to engage with community-based organisations, medical professionals, religious and community leaders, other mental health researchers, policy makers, and importantly, service users. 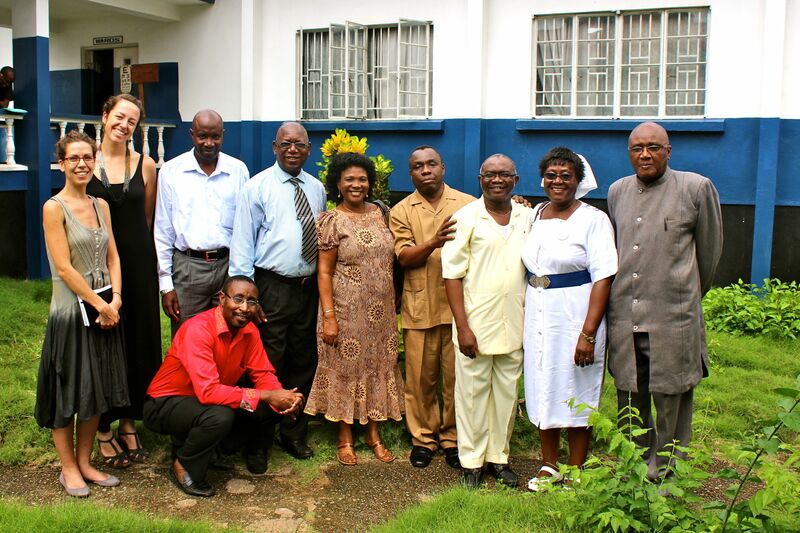 Connecting with these individuals in the research development stages, we seek to find the critical balance between addressing local needs in Sierra Leone with the innovative approaches that have been found effective in the UK. We have developed a multinational research network that draws expertise and skills from diverse disciplines including social work and social policy, social and health psychology, medicine and nursing, global health policy and international development. 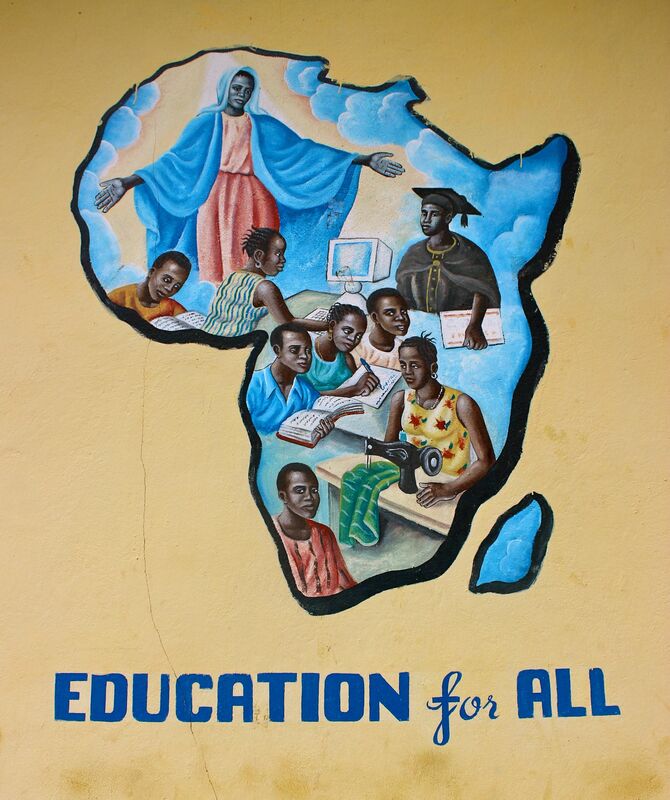 As a team we are scattered across the United Kingdom, Sierra Leone, and Australia with connections around the globe in these diverse fields of research and practice. In order to assess the feasibility and acceptability of the CPI in Sierra Leone, we are arranging travel to Sierra Leone to engage with local stakeholders and gain a better understanding of the mental health services available as well as identify where significant gaps exist, forming the foundation for a needs assessment. Drawing upon the extensive network of our international research team members in Sierra Leone we will use ethnographic methodology to gain a comprehensive description of the local context. This work will establish the potential for the model to benefit the outcomes for service users and inform the planning the protocol for a future pilot study. Check out this post from Dr Martin Webber, written by Laura Clohessy, for London School of Economics, on the scope for blogging within academic research and practice. Just this morning I received an email from a colleague with new impact factor figures for popular journals, and yet we ask ourselves, are academic journals the most impactful way to reach individuals who will implement the findings of research? The LSE article discusses the impact of blogging and how it serves as a platform to document the progress of a study. We’re curious, what do you think about blogging as a strategy to disseminate research?